Unpacking at the end of two months in the UK is always a bit difficult. So having some treats to put away helps ease the sadness of leaving family, friends, rolling hills and – this year – an incredible amount of blissfully, clement weather. Having forked out to British Airways for two extra bags, there was no way I could bring back many more of the food-related things that I began to accumulate over the summer. The contents of the Food Blogger Connect goodie bag and seasonal items from the Lidl Christmas preview (yes Christmas in July) were dispensed to food lovers who would appreciate them most. No prizes for guessing that a little haul from Country Cheeses would be nestled in my suitcase. We took friends to the Tavistock Real Cheese Fair this year and they loved it. Sharpham Elmhurst is a creamy, tangy Brie-style cheese and the teens picked the Devon Smoake from Curworthy. I usually choose Ticklemore‘s Harbourne Blue (goat’s cheese) but the Devon Blue (cow’s milk) took precedence this year. Montgomery‘s, Keen’s and Westcombe unpasteurised Cheddars are all made within ten miles of each other in the same way and from milk from the same type of cow. The different tastes are an expression of the atmosphere, pasture and the antithesis of standardised mass market production. As the man at the counter rightly said “the changing taste is something our Grandfathers took for granted.” Montgomery was my favourite this year, but the flavours can differ week to week. Who needs to cook when you have ingredients like this? The Bristol Foodies Festival was an exercise in self-restraint as I wanted to buy everything. Scorchio from Fat Man Chilli was chosen for KP and he’d doused his baked bean lunch in it before I had time to protest. He has a high heat tolerance. I couldn’t resist the chutney from Bath Food Company – seriously good. Phil from Pelagonia Foods works in partnership with a cooperative of 650 families to produce a range of traditional Macedonian mezze. He hopes that aivar, made of roasted peppers, will be the next hummus. Spinney’s stocks it in Dubai if you want to try some (because my jar of smooth, tangy, smokiness won’t be here for long). A few things made it from my Food Blogger Connect goodie bag including kiskh (a fine, powdery cereal that is a mixture of burghul wheat that has been fermented with yoghurt) which Bethany’s brother brought all the way from Lebanon. I couldn’t leave my smoked Maldon salt behind or the aromatic peppercorns from Peppermongers – I will never look at pepper in the same way again. This hand-harvested Piran salt and fleur de sel from Slovenia was given to me by Joe Gray from Slovely at Jamie Oliver’s Fifteen. It’s stocked at Fortnums and Selfridges ..and now my kitchen. You’ll see me doing my shopping with a Borough Market jute bag from now on. Pretentious….moi? The memory of a lovely morning there. And this is a bit of a cheat as I didn’t have time to take a photo. 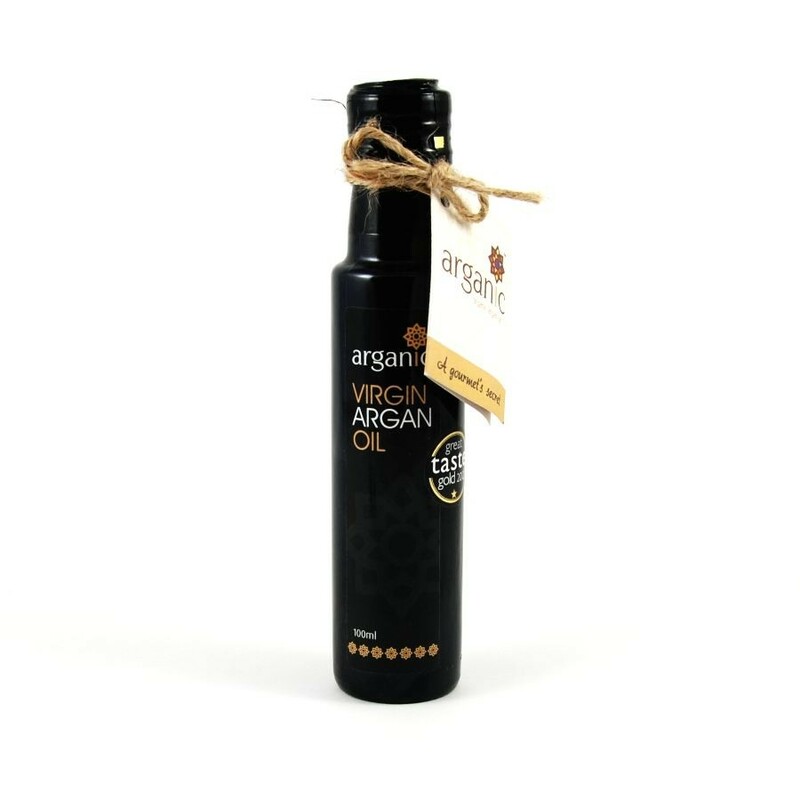 Lovely Dana from Arganic put aside a bottle of her fantastic argan oil. You may have heard of this unique oil, but there are many adulterated imitations. Dana lives and breathes the stuff and works directly with Berbers in Morocco to source the freshest, organic and ethically sourced argan oil around. It’s now stocked in Jones the Grocer in Dubai or you can order from the website. As usual, Celia from Fig Jam and Lime Cordial is sharing what’s in her kitchen (and it’s always awe inspiring, totally mouth watering and usually contains chocolate). So what’s in your kitchen this month? Lovely treats and wonderful props! You are allowed to take cheese into Dubai? I wish Australia had less strict quarantine laws, even dulce de leche gets confiscated, *tear*. The props look great, and I can’t wait to hear about the book Roman Cookery of Apucius – will you be making garum? G’day Sally and wow, love all the goodies in your kitchen this month, true! 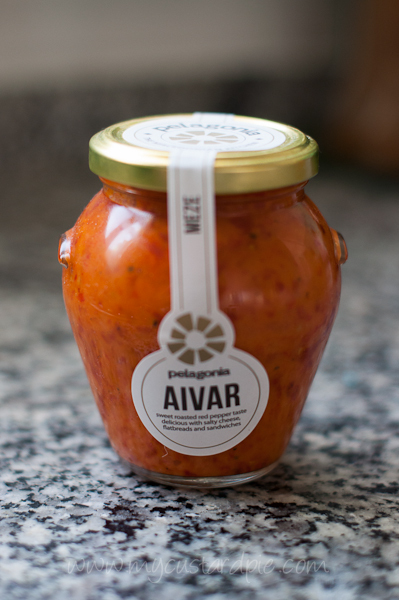 I had never heard of aivar, so thank you for allowing me to learn something new! Love all of your bits and bobs. Hopefully such Britishness won’t make you homesick! Sadly, I had to abandon most of my FBC gear as I flew Easyjet. The cleaning staff got a very strange tip 🙂 But luckily my favourite was also the lightest: Peppermonger long pepper and Szechuan pepper. Fabulous stuff. I spent the longest time ever at their stall – it was an absolute revelation that pepper could be that amazing. Wow…love the contents of your suitcase. The props look gorgeous and the books..well..please do tell us which ones you loved. Welcome back to Dubai.Love. I will do – The Smitten Kitchen book is currently getting a lot of book marking by the teens. Your stash was worth every penny! Of all those wonderful things, Maldon salt is the one thing that I bring to France from the UK. We live in a major sea salt producing area, but there’s something about Maldon that does it for me. I think it’s the texture. I can buy lovely French salt here in Dubai but somehow the shards of Maldon are superior. Sorry French people. My hubby also travels EXTREMELY light – guess doing it all the time you get into the swing of things – me, well just like you, there are always so many lovely things to bring home and you brought back fabulous treasures Sally. I’m very light going out – two pairs of jeans and one pair of trousers for 2 months in UK for instance – but coming home is a very different story! Hi Sally I love buying things when I am on holidays. Your purchases look fabulous. It’s always comforting to have some goodies to unpack when you get home isn’t it. what a lovely post, made me home sick & I’m still here! I was at FBC5 too, still loving the contents of the goodie bag 🙂 Looking forward to hearing about the books. I can’t remember all the goodies now – sure I gave some lovely stuff away. Starting on the book post now. you’re absolutely right. Who needs to cook when you have ingredients like this?! Just give me that cheese board! Your kitchen looks like a wonderful place to be. That pile of cook books looks enticing, but the cheese sounds amazing, think I would have to nibble and read with all those goodies to hand. Yes. Totally dedicated to cheese 🙂 I’m not sure if Dana has got Arganic as far as Australia yet. I’ll check for you. I was gifted some Butternut Squash Oil that I am currently crushing on. I also must comment that “Ticklemore” is a great name. Ooh, that does sound good….and yes, you can’t help but like a cheese called Ticklemore. 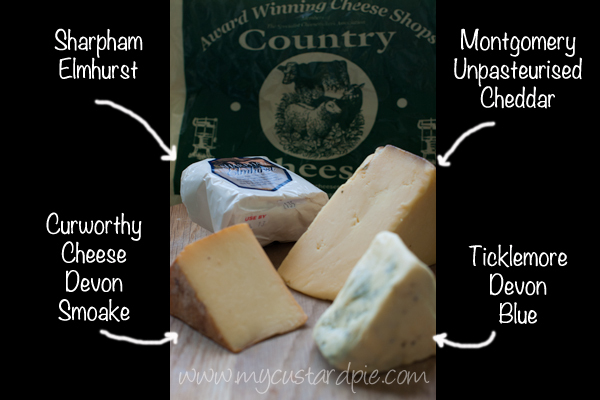 The cheeses from Wooton organics are also worth a mention: Little Ryding, Shepherd’s Crook, Millstone and, my favourite, Dumpling. 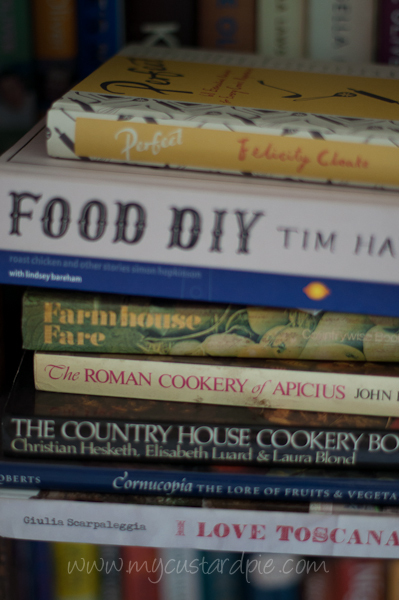 Food and cookery books – perfect reminders of a good trip! You have a bountiful kitchen. I’m with you on the Maldon Salt. Nothing quite like it, it is my favorite. All your wonderful trinkets and props are quite exciting! 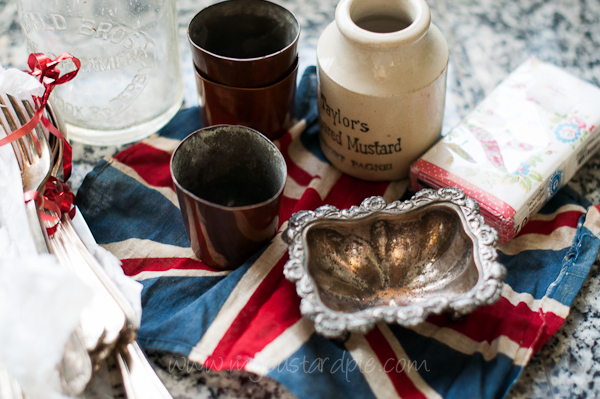 Great finds and good for you for bringing them all home. I bring home cheese too, so far its not been confiscated. If they were to try, I’d probably sit down and eat it before letting them toss the precious cargo away. Unpacking your suitcase couldn’t have been a chore! Enjoy all your goodies and love the props. I HATE unpacking after a trip, but I think you’ve given me a devilish idea – to fill my bag with things worth unpacking! My husband thanks you in advance for the likely additional baggage fees!!! 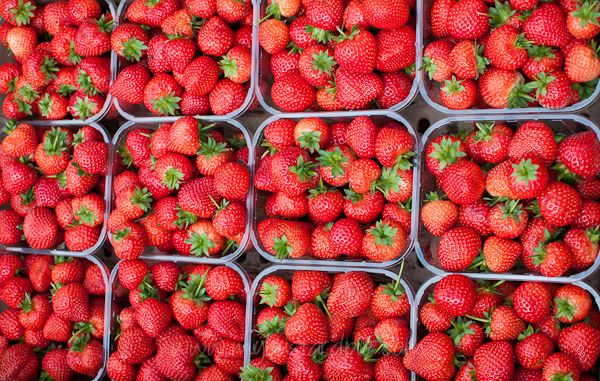 Never have I seen such perfect strawberries! gorgeous. Am so jealous, even if I had the room in my case we simply wouldn’t be allowed to bring the fresh foods into New Zealand for biosecurity reasons. I need to start getting a stash of styling props though – yours look fun. Great looking haul, I’m not sure I could be as disciplined as you though! I love your shopping bag. I would love to find out more about those book. I remember the mixture of feelings upon returning to Dubai at the end of a leave – end of holiday blues combined with happiness to be back home. I visited Borough Market last week and loved it. Look forward to more trips during the winter when it might possibly be quieter! Those end of holiday blues sometimes effect me more than others. Going back to Saudi was the pits, Dubai less so but I miss the green open countryside of the UK so much my heart aches. Having treats to unpack is imperative to helping my transition. Must write up my Borough Market visit – I loved it but not the way I expected to! Sally, I could make a meal out of bread and cheese, too. Comfort food helps during transitional times. Enjoy your IMK goodies! Sally I just love your blog, every post of this blog has something refreshing. And I love the Fine Cheese Co Ann-Marie. I remember the early days of the shop and how exciting it was to take home one of your fragrant basil loaves to go with the exceptional cheese. Managed a quick lunch on the pavement this summer – a delicious crayfish sandwich. I was reading through your post and as I scrolled down I spied the star logo of the Solcne salt. I have a little bag of the same salt in my kitchen in Brisbane! I bought it at a petrol station of all places as were were driving from Slovenia to Hungary. We were travelling for 18 months so luggage was at a premium. Salt was cheap and an easy souvenir so I have salt from all over the place. Thanks for sharing your kitchen. Oh wow – what a lovely story. I must admit I’d like to have bought mine in Slovenia. Mmm Smoked Maldon. I have never seen this although I use Maldon all the time, plus I love smoked food. Will have to try & find it. Lovely post. What a load of foodie treasures you brought back with you! I would love to do a little fall excursion myself and find some new or old, trusted foodie treasures. I have never used smoked Maldon salt…I’ll have to see if I can find some!